He's not just for Fred and Doris Ziffel anymore! 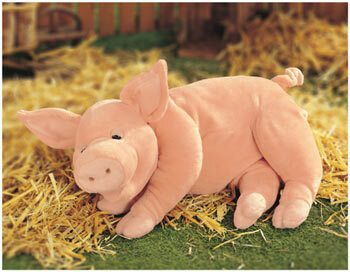 Now you can finally own your very own Arnold, the snoring pig! This incredibly cool stuffed animal measures 15 inches from snout to tail. Press his front paw and Arnold starts snoring! His mouth and ears move and his stomach expands and contracts. Uses 3 "AA" batteries which are included. 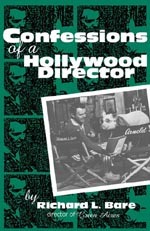 Copy of The Hooterville Handbook-A Viewers Guide to Green Acres by Stephen Cox. Originally published in 1993. Over 200 pages of fun facts, show information, and behind the scenes black and white photos. 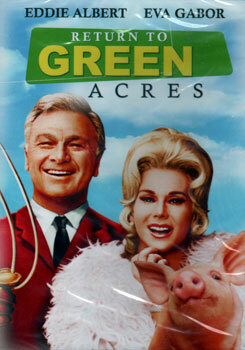 Unopened copy of Return to Green Acres-The made for TV movie from 1990. The original cast of Green Acres gets together to save Hooterville from greedy developers. Now you can watch the shows you know and love 24 hours a day! Just pop in any of these DVD's and you can take a journey to Hooterville and spend some time with your favorite characters! Each DVD you purchase by clicking below helps to keep this site up and running! 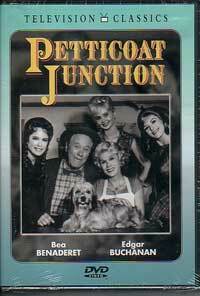 Unopened Petticoat Junction DVD. Contains four classic episodes: Please Buy Me Violets, Last Chance Farm, Kate's Recipe for Hot Rhubard, and Bobbie Jo and the Beatnik (Starring Dennis Hopper as the Beatnik). 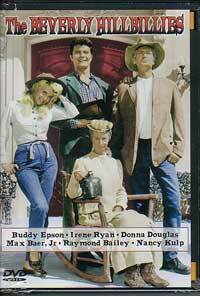 Unopened Beverly Hillbillies DVD. Contains eight hillarious episodes: Hillbillies of Beverly Hills (FIRST episode! 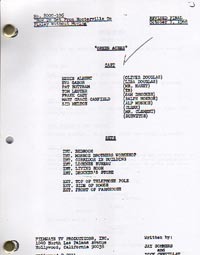 ), Getting Settled, The Girl from Home, The Servants, The Giant Jackrabbit, Jethro Goes to School, Elly Starts to School, and The Clampetts and the Dodgers. 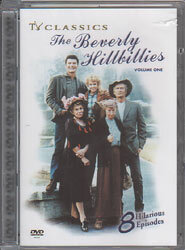 Unopened Beverly Hillbillies DVD. Contains eight classic episodes: Jed's Dilemma, The Great Feud, Jed Saves Drysdale's Marriage, The Clampetts Get Culture, The Clampetts are Overdrawn, The Garden Party, Jed Cuts the Family Tree, Jethro's First Love. 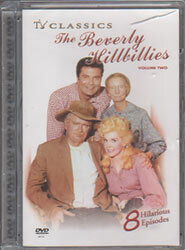 Unopened Beverly Hillbillies DVD. Contains four classic episodes: The Clampetts Strike Oil, The Clampetts Meet Mrs. Drysdale, The Race for Queen, and Granny's Spring Tonic. 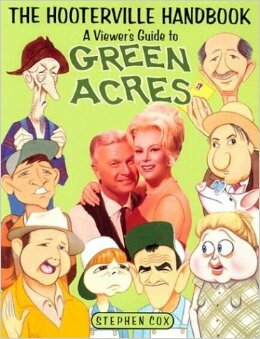 How much do YOU know about Green Acres? Read the gripping memoir of director Richard Bare and get the inside scoop about the beloved tv show and much more! Be sure to visit the classifieds section! See what others are buying/selling.